LG teases 2019 4K OLED TV specs ahead of CES | What Hi-Fi? Next-gen processor: next-level picture quality? It’s unlikely we’ll have confirmation of LG’s 2019 OLED (and LED) TV line-up until LG Electronics’ president takes to the CES (Consumer Electronics Show) stage in January, but as with every flagship smartphone and Marvel movie nowadays, we could be let in on several details before the official unveiling. The first revelation isn't exactly unexpected: the company's 2019 TVs are getting a next-gen version of the Alpha 9 (α9) processor found in all but one of its 2018 OLEDs. The a9 2nd-gen (interesting that the company hasn't gone with "a10") allegedly brings ‘images that are more true-to-life than ever’ with its core four-step noise reduction process, which uses an algorithm that allows for more involved noise-reduction. Thanks to improved mapping and colour correction algorithms, LG is also claiming advancements in sharpness, contrast and colour reproduction - gains that could be necessary to keep it above Samsung’s ever-improving rival QLED TVs. The α9 2nd-gen will offer High Frame Rates (HFR) up to 4K/120fps, although that doesn’t improve on the capabilities of the a9 processor in this year’s sets. 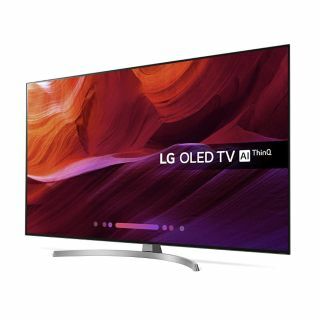 What may be the difference here, however, is the 2019 OLEDs' improved HDMI spec, which we expect to be HDMI 2.1. LG's 2018 models only meet the HDMI 2.0 standard, but to get 4K, HFR and HDR over HDMI you need HDMI 2.1. So, that considered, 2019 OLEDs should be able to play HFR/120fps content from HDMI sources when and if that becomes more of a ‘thing’. So will all of LG's 2019 OLEDs benefit from the new processor? Going from previous line-ups, it's not likely. While LG’s current (2018) C8, E8, G8 and W8 OLEDs all use the brand’s original Alpha 9 picture processor, its entry-level B8 OLED TVs make do with LG's Alpha 7 processor from 2017. So will next year’s B8 version (presumably called the B9) use the first-gen a9? Possibly. And if that’s the case it could prove to be the budget choice (especially after the inevitable price drop in the months following release). Naturally, we’re hoping the 2nd-gen Alpha 9 processor will be superior enough to warrant buying further up the range, though.